It was another historical case (which seems to be becoming my speciality), this time going all the way back to 1964. It involved a dozen pre-teen and teenaged kids out playing on a summer evening outside their families' lakeside cabins. There were three families represented, staying at three neighboring cabins on the SE shore of Lake Waubesa, just south of Madison, WI. The six parents had gone to a tavern across the lake (this is Wisconsin), leaving the kids to their own devices. The witness can't remember who saw them first, but suddenly all the kids were aware of a trio of objects hovering out over the lake, or just beyond it, perhaps a mile away, in the direction of Madison. The objects were saucer-shaped, and each had red, blue and green lights spinning around their edges, although the saucers themselves never moved or changed positions. Suddenly one of the kids--the witness recalled it was "one of the twins"--said, "Oh my God, it's a flying saucer!" and all the kids high-tailed it back to the closest cabin. When the adults came back, they were fully briefed by the excited kids, but by that time the saucers had vamoosed. She feels sure that the kids must have gone back outside with the parents to look for the saucers, but she can't recall. UFOs & lakes... just like peanut butter & chocolate. Everyone seemed to forgot about it, except for my witness. It's been 51 years and the memory still sticks with her... 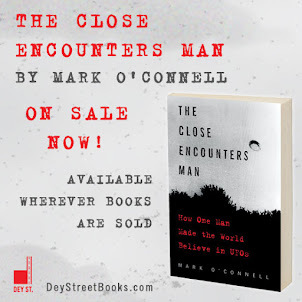 Her husband is a fan of UFO and paranormal cable TV shows, and although he is what she described as "a healthy skeptic," he persuaded her to report her sighting. Before reporting, she checked with her two sisters; one remembered the event, and the other did not. The witness has no idea how to contact the other kids involved, and the cabins have long since been torn down and replaced by new owners. 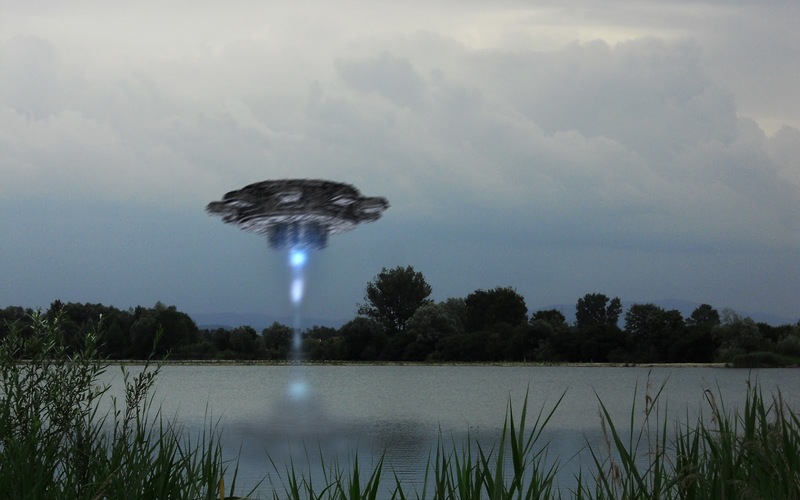 The sister who remembers the sighting now insists she "doesn't believe in UFOs"
Once you see a UFO up close and personal, you can remember the facts of the sighting like it happened yesterday. My sister, who now lives with me, repeatedly dreams she's being pursued by aliens in the night. We keep a rather bright night light on (actually a small lamp) every night between her bedroom and mine. We both sleep in rather stuffy bedrooms, so we keep our doors open. I'm a very light sleeper and wake up easily to the slightest sound, even a change in her breathing. 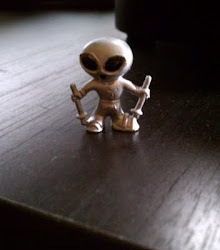 I cannot report that I have ever awakened to find aliens prowling in or outside the house looking for either of us. I believe her dream aliens are merely symbolic, as I suspect they might well be in the witness dreams you describe. While interesting, the dreams might well mean something entirely different than what they seem on the surface. Now that's a fascinating thought... There must be an entire dream language involving UFO and alien imagery. Jung would be all over that!